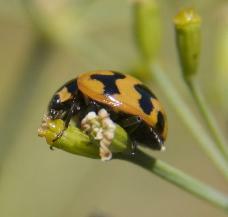 Beetles are a very large and diverse insect group. 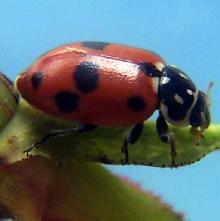 Beetles have two pairs of wings, a rigid often coloured pair of fore wings and a pair of fine hind wings folded beneath. 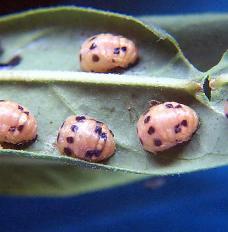 They are distinct from bugs in that they undergo complete metamorphosis - egg, larval, pupal and adult stages. 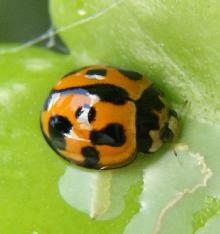 Most beetles are predators but some feed on plants, most notably - the 28 spotted ladybird, Carpophilus and Monolepta beetles. Each species will have a specific host range or preference - eg some species prefer mealybugs other species prefer aphids, or spider mites etc. Labybird adults are typically small, round to oval and domed shaped with distinctive colourful markings. A female may lay from 200 to 1,000 eggs over two months. 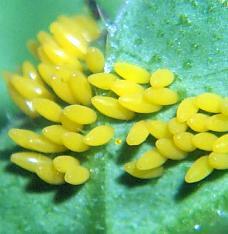 The eggs, spindle shaped are usually deposited in clusters. Larvae are alligator like with three pairs of prominent legs and can be voracious feeders. 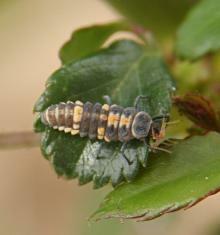 Pupa may be dark or colourfully pattered.